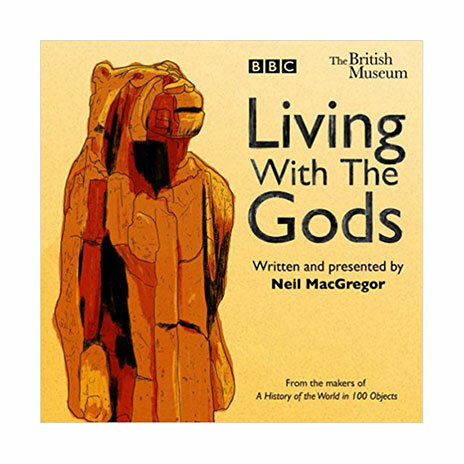 An accompanying thirty-part landmark series for BBC Radio 4 for the Museum?s major exhibition, Living with gods; peoples, places and worlds beyond. Written and presented by Neil MacGregor, he investigates the role and expression of shared beliefs through time and around the world. Using specially selected objects from the British Museum and beyond, talking to experts from various disciplines and visiting key locations from the river Ganges to Jerusalem, he examines how rituals and systems of belief have shaped our societies. Looking at communities from the distant past to the present day, both in Europe and worldwide, his focus moves from the beginnings of belief and the element worship of fire, water and the sun, through festivals, pilgrimages and sacrifices, to power struggles and political battles between faiths and states. Among the objects featured are the Lion Man, a small ivory sculpture which is about 40,000 years old; a 16th century ivory and gold qibla, used to find the direction of Mecca; and the Lampedusa Cross, made from pieces of a refugee boat wrecked off the Italian coast in 2013. This enlightening series explores humanity?s enduring need to believe, belong and connect with the cosmos. Neil MacGregor was the director of the National Gallery, London from 1987 to 2002 and for the Museum from 2002 to 2015. In 2010, he was made a member of the Order of Merit, the UK?s highest civil honour. He is now Chair of the Steering Committee of the Humboldt Forum in Berlin. This series has been edited by in-house editor Ania Duggan.